Rolex has been around now for well over a century, and has been the most recognizable watchmaker on the planet for the vast majority of that time. Through a blend of amazing inventiveness, impeccable design, innovative marketing and an almost impenetrable veil of mystery shrouding their operations, they have become a source of endless fascination amongst horology fans. That level of interest naturally opens up a slew of questions about the brand, some of which have never received an official answer from behind the curtain at Rolex HQ. In addition, here at Beckertime, we regularly receive inquires concerning the many aspects of ownership; from the best way to look after your watch, to how to authenticate a genuine example, through to subjects such as servicing schedules and investment otential. To help with all this and more, we have put together a list of the most popular questions and answers, to do our best to separate fact from fiction and to try and shed at least a little light on the goings-on inside Rolex. How many watches does Rolex make every year? You would think something as simple and straightforward as Rolex’s annual production numbers would be common knowledge, especially considering their global renown as a manufacturer. But the fact is, no one knows! The corporate structure at Rolex is notoriously complicated and the business is actually formed from a number of companies, some of which own portions of each other, all headed up by Rolex S.A.
Rolex S.A. is, in turn, owned by the Hans Wilsdorf Foundation, a trust the company founder established in 1944 following the death of his wife. The Swiss government recognizes its status as a charitable institution and, as such, does not require it to pay taxes. On top of that, it means Rolex is not obligated to release any kind of information concerning their operations, including volume. And they on’t. That has left the door open for all sorts of speculation. 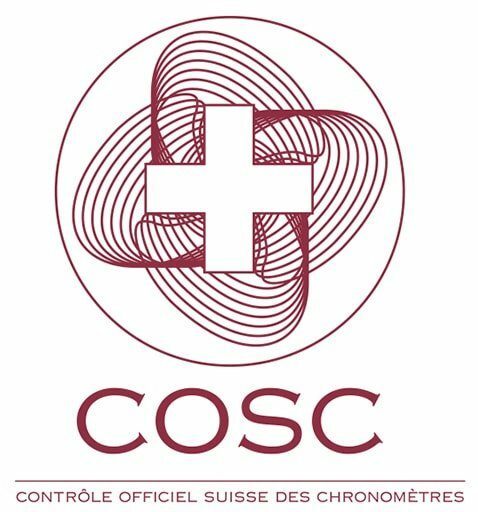 The best guess anyone can make is by looking at the figures from the COSC, the Official Swiss Chronometer Testing Institute. This is where every movement Rolex make is sent to be certified for accuracy and resilience. The latest numbers suggest the brand submits around 800,000 calibers every year, with a further 200,000 coming from sister brand Tudor. As far as knowing for sure, that is about as good as we are going to get. How long does it take to make a Rolex watch? Rolex themselves have stated it takes 12 months for them to create each watch. However, that is a little disingenuous. As we’ve already seen, the brand makes a huge number of models every year, even if we don’t have an exact figure. We do know that somewhere around 6,000 to 7,000 people are employed by the company, with about 2,000 of those directly involved in manufacturing. Simple math tells us that 2,000 workers cannot churn out upwards of a million watches annually if each one takes a year to complete, so what is the real story? It could well be that that is the time between the very first step and the finished article passing quality control, but Rolex is a mass producer, with a manufacturing line working in the most efficient way possible. It is not a case of one person slaving away making one watch for an entire year. The components needed to build each model are created in bulk and are sitting waiting for the watchmaker to order them up, complete their part of the process and send along to the next step. But, if we are measuring the time by how long it takes for the raw materials to be processed, cases fabricated, all the movement’s hundreds of components made, the caliber assembled, and polishing and testing to be completed, a year may have passed. But creating a finished watch once everything is in place and ready to be constructed, the process is most likely measured in hours rather than months. One of the biggest misnomers about Rolex’s manufacturing is that everything is automated, with human interference kept to an absolute minimum. Although, as we’ve just seen, they use a highly sophisticated production line, much of the watchmaking process is done by hand. That being said, Rolex has by far the most advanced machinery in the industry, but it is used to assist their workers rather than replace them. So things such as fetching components from storage in the quickest time is a job best suited to a robot rather than a person. Similarly, procedures which are extremely delicate and require absolute consistency, like installing and applying exactly the right pressure on a watch’s handset are done by machine. But not even Rolex’s state-of-the-art equipment can assemble their calibers with the same care and attention as a certified technician, so the movements remain hand built, as well as the bracelets and cases. Simply put, each task is done by whoever or whatever can do it best. How long should a Rolex last? This is a question we get asked a lot here at Beckertime, and it’s a good one. Rolex’s reputation is for making watches that can shrug off any sort of punishment and look good doing it. But how long can you realistically expect your model to last? It obviously depends on a few factors, such as the age of the watch, how often you have it serviced and how frequently it is worn. Firstly, age. As with anything, the older the watch, the more care you will need to take with it. You wouldn’t expect a classic car to run perfectly without giving it at least a little extra attention. The same is true with timepieces, and this really ties in with the servicing question. For brand new watches, Rolex is now recommending maintenance every 10 years, one of the longest windows in the industry. Vintage pieces will need a bit more looking after, and experts suggest a complete overhaul anywhere between every four and seven years. If the watch is only worn a few days each month, you can extend the service period, but it is vital that it is kept running even when not wearing it to ensure the movement’s components are kept lubricated. If the oils are allowed to run dry, parts can rust and the caliber can be badly damaged. The good news is, taking care of your Rolex and sticking to a commonsense servicing regimen means it can effectively last forever. It is the reason most Rolex collectors got started on their hobby by receiving their first model as an heirloom, passed down from generation to generation. Are Rolex watches a good investment? In the world of luxury goods, very few stand as good investments. Being the first person to drive a new Ferrari out of the showroom feels good (I’d imagine) until you do the sums and realize how much money you have just lost by transforming the car from new into secondhand. It is the same story across the board. Buying any luxury item with the view of making a profit at some point down the line is most often a recipe for disappointment, including with watches. There is, however, an exception. Rolex’s universal standing and hard-won fame means they are just about the only timepiece brand which you can be reasonably assured will at least hold their value. Get it right, and they can even become an appreciating asset. Of course, just as with my Ferrari, a box fresh Rolex is going to take a hit of depreciation the minute you leave the Authorized Dealer. That is why the pre-owned market is currently such a huge industry. Once someone else has taken the first financial hit for you, it is more likely you will make money on your purchase. So, which are the best models to invest in? Now, that’s the question! And it is one with an answer that changes seemingly at random. 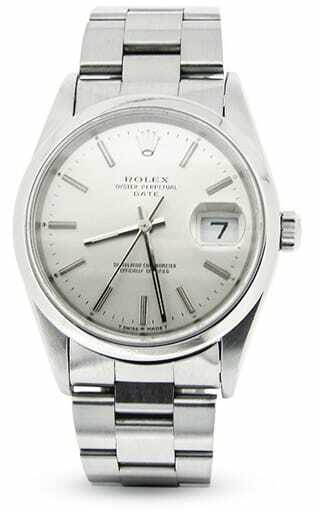 As a general rule, the sports watches have traditionally performed the best, and none more so than the steel versions. So, a vintage steel Submariner is always a pretty safe bet, as is the GMT-Master, particularly with a Pepsi bezel. You will find that a lot of watch investing is influenced by short-lived trends, but there are a few things to look out for that can increase the likelihood of a certain watch increasing in value. A recently discontinued reference of a popular model is one example. 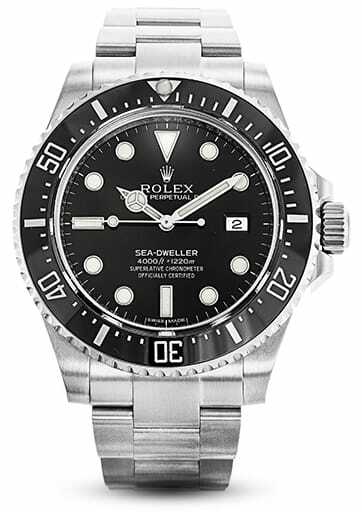 A watch that immediately springs to mind is the last but one Sea-Dweller, the ref. 116600. This was the comeback kid following a six-year absence, and it has the further benefit of only being in production for a very short time—from 2014 until it was replaced by the current model in 2017. On top of that, it was the last 40mm version and also the last to have no Cyclops lens over the date. All those factors put together add up to as near a surefire future investment hit as you can reasonably predict. As with all forms of collecting, the rarer the piece, the better you can expect it to do. So, watches with short production runs, or those with some kind of departure from the norm, will always be highly sought after. The exotic dial Daytonas, for instance, while terrifically unpopular in their day, now make up just about the most desirable Rolexes of them all. But as we always say, you will enjoy your watch collecting infinitely more if you buy the models you love rather than the ones you are hoping will turn a profit. This question is linked to the investment questions above for obvious reasons. Ask most people the first word that springs to mind when they hear the name Rolex, and you will likely get the answer ‘expensive’. It is true that the initial buy-in might seem high—shelling out multiple thousands of dollars for a wristwatch is a significant move. But in the great scheme of things, especially if you buy pre-owned, the cost of owning a Rolex can actually be negative. With perhaps the only other example being Patek Philippe, no watch brand, in fact no luxury brand of any kind, performs as well monetarily as Rolex. Buying your favorite piece, wearing it for 10 years and then selling it on for the same price as you paid, or a little more if you’re lucky, and suddenly it doesn’t sound expensive at all. Or, instead of selling, your Rolex can be traded up for a different model or traded down for a less expensive example to release some cash. How can I tell if my Rolex is real? With their all-pervading popularity, it should come as no surprise that Rolex is the most counterfeited watch brand in the world. It is estimated there are now more fakes of some models, the Submariner being one, than there are real examples in circulation. Back in the day, spotting one of these forgeries wasn’t too difficult, but with modern advances in equipment, some are so good even trained watchmakers can have a hard time telling the difference. There are myriad tiny details and subtle alterations to look out for, far more than we have room to list here, and as the technology continues to progress at pace, any advice we give can quickly become outdated. The most important thing you can do before pulling the trigger on your Rolex purchase is indulge in as much research as possible into whoever is selling it. The pre-owned market is brimming with n’er-do-wells just lying in wait to relieve you of armfuls of your hard-earned cash. Having complete trust in the dealer, by checking to see what sort of authenticity assurance they offer or whether they have certified specialists guaranteeing the legitimacy of their products, is the simplest way to ensure peace of mind. Those are just some of the questions we are asked most frequently here at BeckerTime, but if yours wasn’t up there, please feel free to drop us an email or call the store anytime with your particular query. We are always happy to help, and discuss all things Rolex!